Water is the most valuable natural resource on earth important to human survival and to industrial and agricultural production. Anthropization has strongly affected the water systems by the release of various pollutants from industry, agriculture, zootechnics and other human activities which release impurities to water sources like rivers, oceans, lakes etc. Such pollutants are industrial waste including heavy metal ions and organic pollutants, fertilizers, pesticides, animal waste, residential waste etc. The water sources of Sri Lanka are not equally distributed in the country especially population in the dry zones depend on ground water as they lack access to clean and safe water. Pollution of the water resources all over the country has become a critical problem creating an inadequacy of better quality water for all relative needs. People in dry zones use water in shallow and agro wells for daily requirements which are constructed to supply water for irrigation because they do not have alternative water sources. Recently there are more complaints on health issues and such major issue is the Chronic Kidney Disease of unknown etiology (CKDu). Alleviation of the suspected causes of such critical issues is very important. Polluted water causes many undesirable health effects like hormone disruption, altered brain function, cancer etc. In the light of aforementioned hazardous effects a prudent, resilience and sustainable wastewater treatment method is important for the wellbeing of all the living beings. Nanoscience and Nanotechnology research group of SLIIT is tremendously interested in applying nanotechnology for the wellbeing of the society. Hence the group got interested in innovating a novel water decontaminating system by using porous materials that are produced by agricultural waste especially like paddy husk, as they are abundantly available at no cost. Its interest in using the carbonized paddy husk as it is without any chemical or physical activation and without separating the carbon and silica components provides a new dimension to explore. In addition to the paddy husk, commercially available activated carbon and carbon synthesized by resorcinol and formaldehyde polymer were also subjected to the examination. 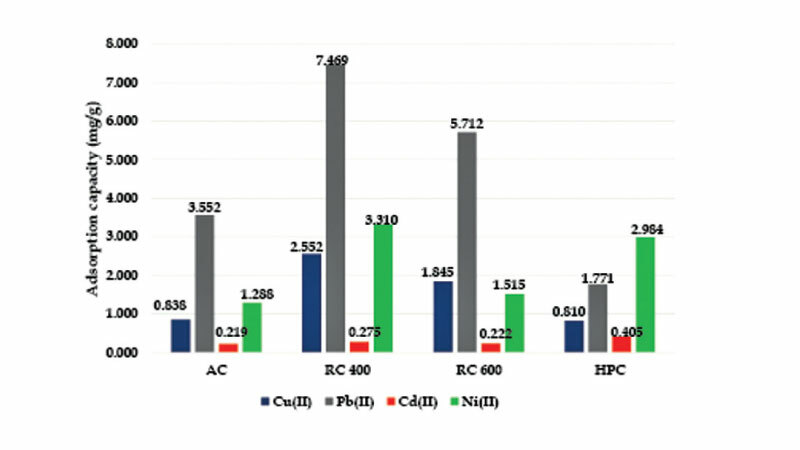 Adsorption capacities of these porous materials were determined for heavy metal ions like Pb2+, Cu2+, Ni2+ and Cd2+ and methylene blue and methyl orange were used as the organic pollutants resembles. 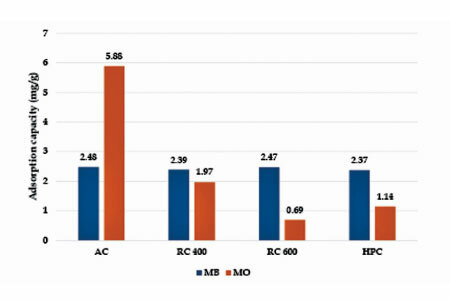 The experimental data have demonstrated that the adsorption capacity of paddy husk for Pb2+ (7.5 mg/g) is much higher than that of activated carbon (3.6 mg/g) and synthetic carbon (1.8 mg/g). Generally, this trend was observed for other metal ions as well. Further, paddy husk has removed methylene blue to an extent being equal to activated carbon and synthetic carbon (2.4 mg/g) while its adsorption capacity for methyl orange (2 mg/g) was less than that of activated carbon (5.9 mg/g) but greater than synthetic carbon (1.2 mg/g).The working group is in the process of modifying the material in order to get better results. It is evident from this research output that the naturally available porous materials like paddy husk are potential candidates in wastewater purification.